The Complete Book of Knitting by Barbara Abbey (1971). 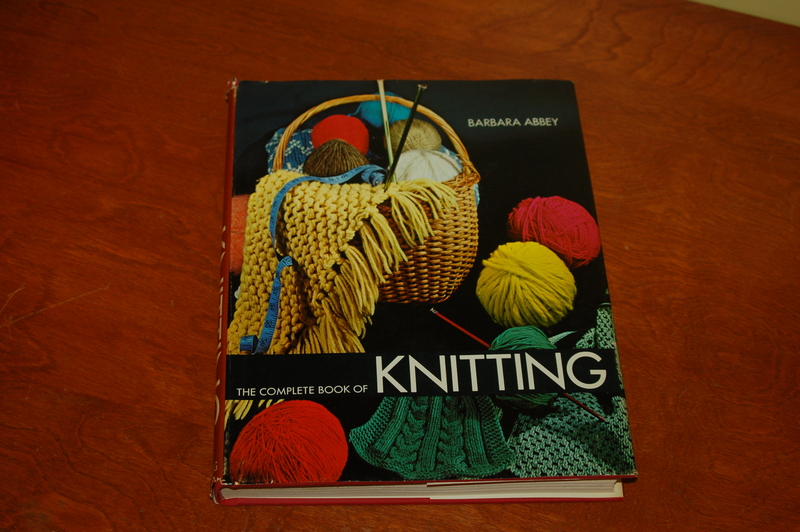 Abbey is also the author of 101 Ways to Improve Your Knitting and Barbara Abbey’s Knitted Lace. Apparently the title I acquired was re-issued in 2001, on the 20th anniversary of its initial release, and is still available. The best part of this book, for me, is that it defines and translates knitting terms in USian, “British,” French, German, Spanish and Swedish. While it’s somewhat hard to imagine this translation tool being all that useful in 1971 Midwest America (the author lived in Wisconsin at the time of publication), I find it fascinating and useful. Now I don’t have to hesitate when I find a pattern I’d like to knit on Ravelry, even if it’s not in my language! This entry was posted in books, knitting, nonfiction. Bookmark the permalink.